Early on in life, we are inundated with the various career choices that are available. There are so many options that it can be overwhelming. Finding your true calling will take some serious thought. So, before you let impulse and indecision guide you on an unfocused path, let’s examine some important points to consider so there will be no regrets in the future. How much schooling or training am I willing to take? Usually after graduation from high school, the choices are to get a job, go to college/trade school or participate in an internship. 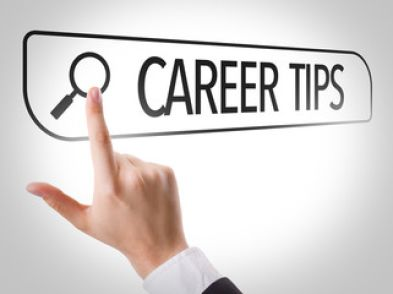 Some career paths require up to 8 or more years of college, such as becoming a doctor or veterinarian. Other areas take much less time, even one to two years, like barber school. Committing to a training program is a big step, and you want to be sure you can follow through to completion. Do I want to help people? Everywhere you go, the service industry is involved. From the barista that pours your coffee to the mechanic that changes your oil, the service industry is broad and varied. If you have a desire to interact and help people on a daily basis, then a service position might be the route to take. Many of the medical professions fall into this category which has a vast array of areas to investigate. Is travel an important part of my future? The world is huge, and if your hunger lies in investigating it, a career that involves traveling might be the way to go. This can include positions in the airline, cruise ship or travel industries which cover a variety of experiences. On another note, many high level business people travel constantly, so a position in the business sector might be a good fit as well. We share a global economy with the world and opportunities are out there to participate in it. Ultimately, do I want to be my own boss? There are two ways to earn a living in the world; either you trade your time for pay with an employer or you work for yourself in your own business. Do you envision working the hours you desire and not answering to a boss? Do you have the dedication and perseverance to make sure you follow through to success? These are serious questions you must ask yourself because there won’t be the pressure to perform for someone else…only you. In the grand scheme of things, you always have the opportunity to change your career path at any point in time. There is no innate law that says once you’ve chosen your path, you have to stick with it. Efficiency does dictate, though, that you’ll be much more successful if you can start off exactly where you need to be so you can enjoy your career path throughout your life.